I'm required to disclose a relationship between my blog and Annie's Homegrown. This could include Annie's providing me w/ content, product, access or other forms of payment. 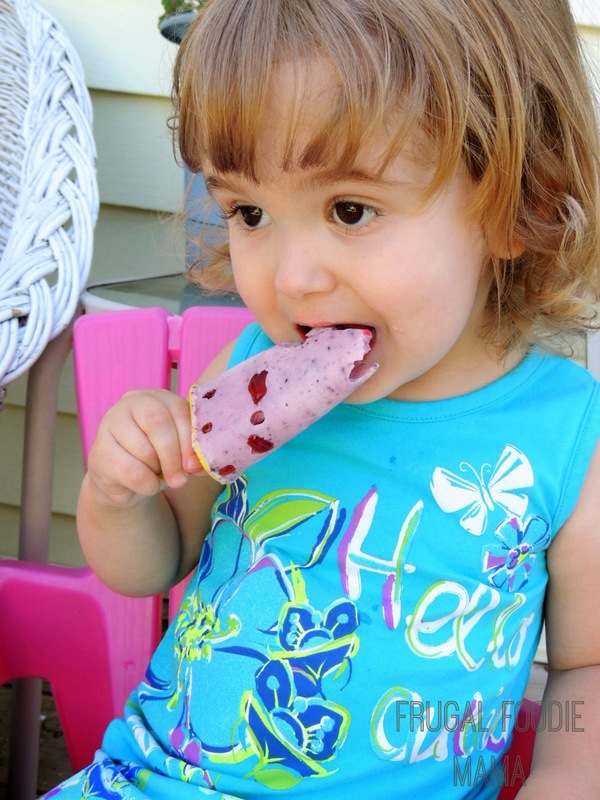 Is there anything better than a cool, creamy popsicle on a hot summer day? While ice cream is a frosty treat we enjoy in this house any time of the year, popsicles are pretty much only reserved for the summer. They are perfectly portable for taking on the run while chasing fireflies at dusk or dancing through a water sprinkler on a hot afternoon. Or for slurping on while sitting on the back deck. Yes, we love a good popsicle during the summer months. But the problem with most store bought popsicles are that they are super sugary and syrupy. 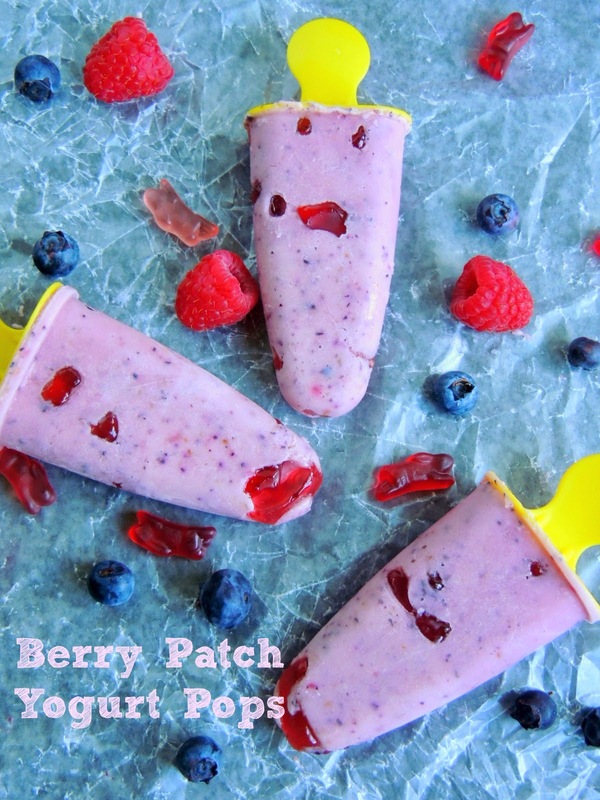 Forget those sugary popsicles this summer and make these super simple & healthy Berry Patch Yogurt Pops instead! I kind of feel like super mom giving these to my kiddo. 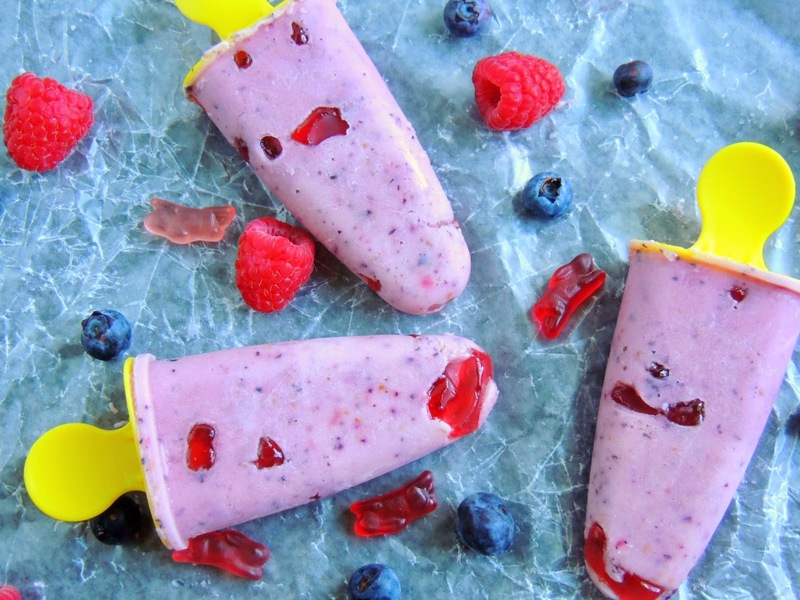 These pops are packed full of calcium, fresh fruit, and all the good stuff. And the Berry Patch Organic Bunny Fruit Snacks not only add a fun texture to the whole frosty mix, but they are also good for you too! They are certified organic, vegan, gluten-free, and made with real fruit juice- no weird flavorings and sweeteners in these fruit snacks, folks! Using your blender or an immersion blender, combine the yogurt, berries, and coconut milk until smooth and creamy. 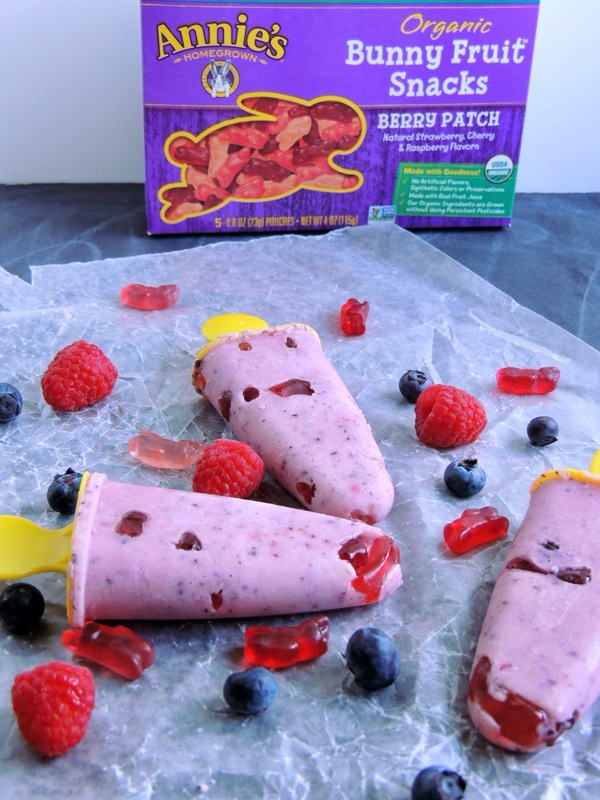 Drop 2 Berry Patch Bunny Fruit Snacks into the bottom of each of your six popsicle molds. Then fill each mold a little less than half with the yogurt mixture. Freeze the molds for one hour. Drop in 1-2 more Bunny Fruit Snacks and then fill each mold the rest of the way with the remaining yogurt mixture. Drop 1-2 more fruit snacks into the tops of each filled mold. Add the popsicle sticks into each mold and freeze for 6 hours & up to overnight. 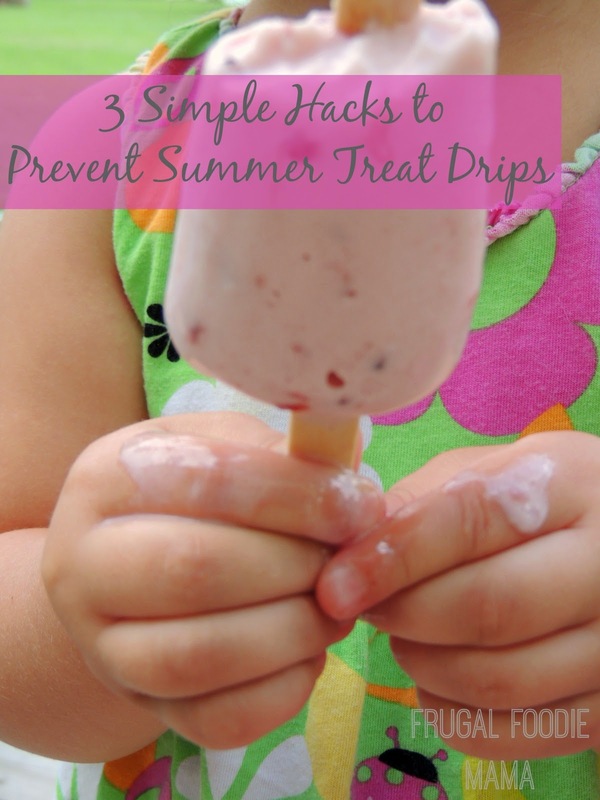 To get the popsicles to easily slide out of the the molds, dip the molds in WARM water up to the top of the molds, but not covering the molds. Hold in the warm water for 20-30 seconds. 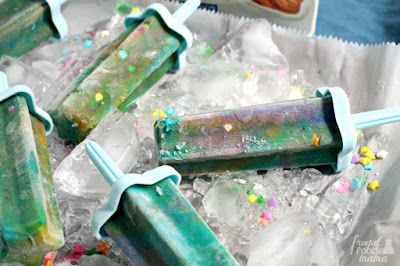 Your popsicles should easily come out of the mold when you pull on the stick. Whether in these popsicles or straight out of the pouch, these Annie's Homegrown Berry Patch Organic Bunny Fruit Snacks have quickly moved to the top of baby girl's most requested snack list. 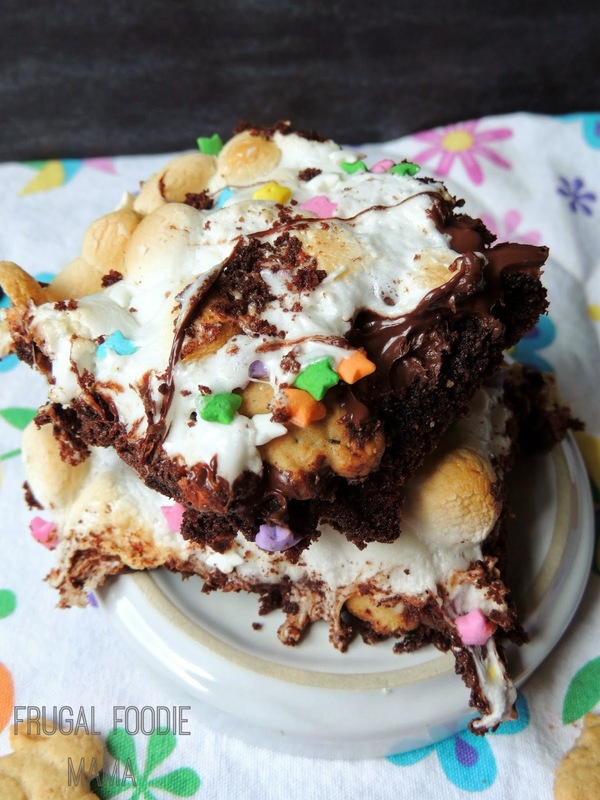 Which Annie's product is your or your kiddos' favorite?